Demusz Mfg. 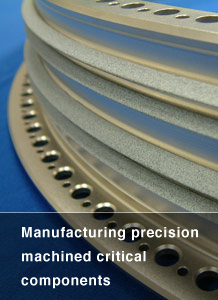 Co., Inc. is a family owned business and contract manufacturer of precision machined critical components. 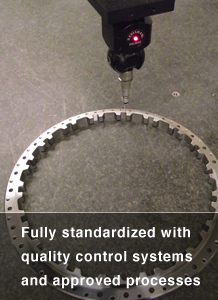 We have a strong commitment to quality, continuous improvement, and our customers. We were established in 1970 by Walter and Kazimiera Demusz under the name Hawk Precision Co. in South Windsor, CT. By 1979 we had expanded twice and moved to our present location in East Hartford, CT. In addition, Walter’s two sons, Waldemar and Wes, had entered into in the business by 1982 and the company was incorporated and officially renamed to Demusz Mfg. Co., Inc. Further expansions occurred in 1996, 2008, and 2010 adding extra manufacturing and inspection space along with engineering offices and gage control. Also in 2010 Waldermar’s son Alex joined the business making him the third generation family member. We strive to be a value adding partner for our customers and our goal is to continue to grow and expand our capabilities and abilities through a highly skilled professional workforce, innovation, and cutting edge equipment and processes while maintaining our renowned quality. Waldemar Demusz is the president and director of engineering and operations for Demusz Mfg. Co., Inc. He joined the company in 1982 as a manufacturing engineer and played a key role in the company’s transition to CNC equipment. His strong computer background also allowed the company to embrace and quickly adapt to many emerging computer aided technologies. Waldemar earned a bachelor’s degree in electrical engineering and computer science from the University of Connecticut. Wieslaw Demusz is the vice president and quality manager for Demusz Mfg. Co., Inc. Wes began his career with the company in 1979 holding various roles in the quality department. During this time he developed and implemented a stringent system of checks and balances to ensure 100% out the door quality. He holds a diploma in the machine tool trade from Howell Cheney Technical School. 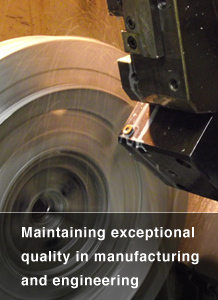 Demusz Manufacturing offers employment to qualified individuals. View our employment opportunities to see what is currently available. © Copyright 2018 - Demusz. Mfg. Co.,Inc. All Rights Reserved.